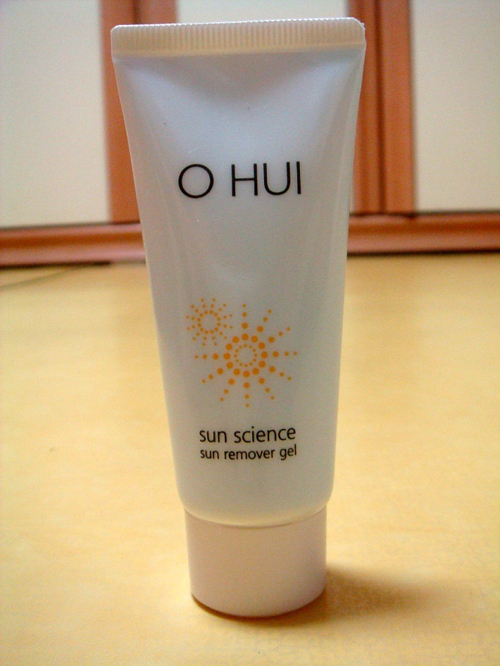 This is OHUI Sun Science Sun Remover Gel (Cleansing Gel). it's been quite a while since I bought this product and I finally writing the review. The following are the products that are applied on the back of my hand. 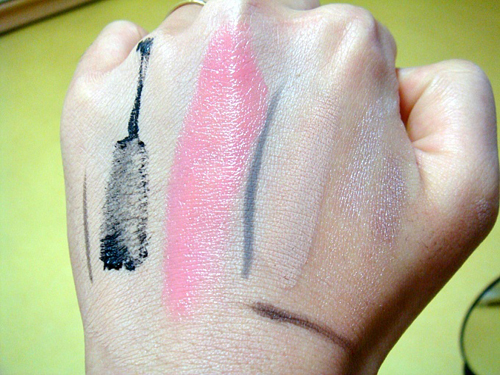 Foundation, eyeliner, mascara, lip balm tint, eyebrow, concealer and shadow. I am going to erase them by using the remover gel. This is when I applied the remover gel. The blue one is the one with the high viscosity. I rolled the gel for about a minute. It can be a bit dry at first. But it melts downs and becomes watery after some time. Then you wash it off with water. 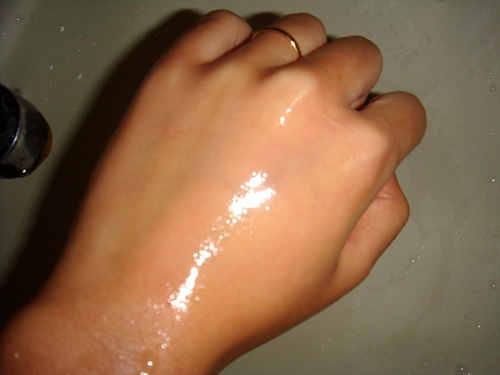 I rubbed my hands thoroughly so that I can completely remove the remover gel. Perhaps it's because this product is hydrophilic that it had completed got rid of the mascara that didn't get erased very well when I was rolling it. 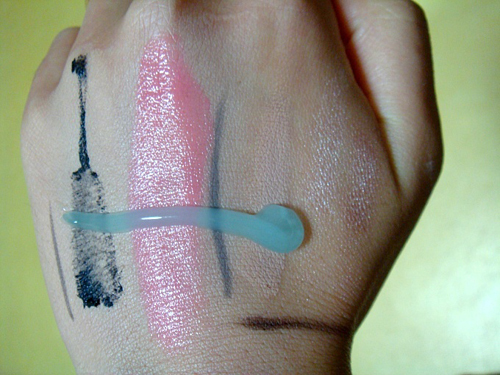 Even though this remover gel is a little more matt compared to the liquid, it didn't show a huge difference or anything. I personally think this gel type has better cleansing effects. I can see the sebum that comes out with my own eyes when I am doing the cleansing because I have a lot of them. I personally think liquid or gel-type products have the best effects on a person like me who has an extremely oily skin. I would definitely buy this product again when I am done using it. Click here to purchase the product. I bought a long time is the pentagram is satisfied. To introduce a friend bought. Satisfied.